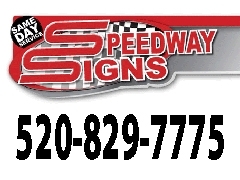 What types of services and products does Speedway Signs offer? We make signs for both indoor and outdoor applications, commercial and residential. 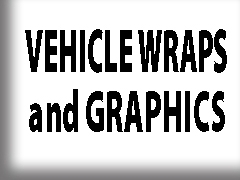 We also design and install custom vehicle graphics and wraps using the finest 3M materials. 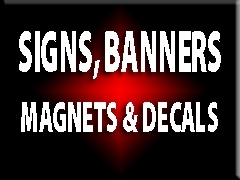 Need a banner, a-frame sign, vehicle or custom refrigerator magnets or decals? We do that too! Speedway Signs also offers graphic & web design services, as well as business cards, forms, flyers, brochures and posters. What are the preferred file types for art supplied by the client? Our preferred file format is VECTOR EPS. If you don not know what vector art is, or you don’t have a file created by a vector-based application such as Adobe Illustrator or Corel Draw, we can, in most cases, create a vector version of your art file. Design charges may apply. We can also print form PDFs or high-quality JPGs. Unlike offset printing, most files will have a wider range of colors when printed in RGB color mode with our equipment. Which types of materials do you print on? We print on various types of adhesive vinyl (to be applied to a variety of substrates), photographic paper, fabric and canvas. Speedway Signs carries several specialty vinyls, including floor vinyl (with a non-skid laminate), interior wall vinyl (safe for drywall) and super adhesive vinyl. We can apply the vinyl to aluminum, steel, corrugated plastic, e-panel, gatorboard, banner material, magnetic material, foam core and more. My organization is tax exempt. What do you need from us? We will require an IRS exemption letter for our files. Does Speedway Signs offer quantity discounts on orders? Depending on the project, we may be able to offer quantity discounts on multiple piece projects of vehicle fleets.